Our kids’ entertainers travel to New York City, Long Island, Westchester, Brooklyn, Queens, Bronx, Manhattan and beyond. We’re always looking to expand so do check if we can reach you, if you are outside this area. I know you cover New York but do you ever travel out of state? We can definitely consider this for you yes. Our parties are in great demand and we have travelled some big distances for clients before. Although additional travel charges may apply and your entertainer may require a minimum booking time. It will depend on where you are. Give us a call and we can discuss this with you. There’s heaps of ways, but here’s a few. 1 – We write and create our own spectacular kids parties, activities, jokes, and puppet shows, etc.. So all our party entertainment is exclusive to Froggle. 2 – The order of the activities is always flexible. Our team will always perform your party activities in the order that suits the audience on the day. What we mean by this is if kids are jumping up and down, no one from our team is going to tell them to sit down for a magic show. Instead we’ll use that energy and get them playing awesome games and get them doing dances. Then once they’ve spent a bit of their energy, we’ll do some magic. 3 – Constantly varied – we never do a really long block of any one activity. So whilst some entertainers do 30 mins magic, 15 mins games, etc. Our approach is different. The order depends on the kids and on the day, and we alternate activities regularly throughout the party. So we tend to do a magic trick, then a game, then a dance, then another trick, then a game, then a puppet show, then balloons, etc. (or whatever you’ve requested). The order will vary form party to party to suit the kids on the day. But its always varied so kids NEVER get bored or restless. 4 – A ton of fun – as we keep saying, no one crams so much in their parties. The range of activities is key to making so much fun for your little ones. 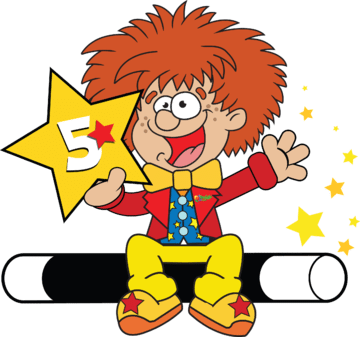 5- Most important , we’re fantastic at what we do because we love what we do!! 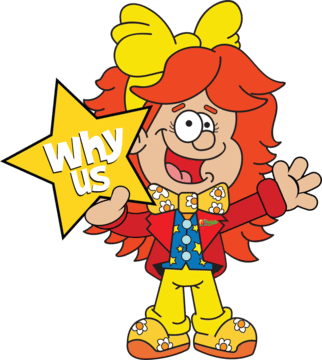 Check out our why us page too. These are just some of the things that make our parties truly awesome. For more fun facts that make us stand click here. You guys have a lot of choice. Whats the best option for me? Give us a call and we’ll be more than happy to offer guidance. All our parties pack a ton of fun, so you can’t go wrong whatever you choose. But don’t forget to chat through with your children as to what they might prefer. To help make it easy to choose, all the activities included in each package are bullet pointed on each party page. But like we say, give us a call and we’d love to help. Do you bring everything needed to the party? We most certainly do. We bring our superb music system, awesome party props, magic tricks, balloons, prizes – everything! The only thing we could do with, that we don’t bring, is a table to display our props. But if you’re hiring a venue they normally have this, and even if not, its not essential. So don’t worry if you don’t have this. We’ll obviously need access to the power too. But when it comes to the kids party entertainment, we bring everything else. A table is handy but not essential. We also need access to the power. We deal in just the entertainment side of things so you’d also need to provide the kids food, drink and any decorations you want to have. 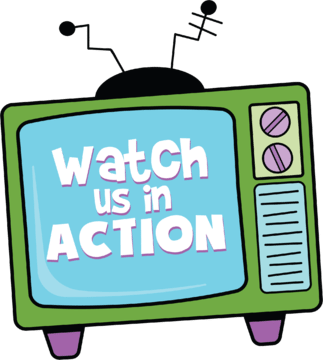 But other than that – we take care of all the entertainment from start to finish! Can I have a mixture of ages at my party? Sure you can. We do this all the time. Our entertainer or our platinum parties are most popular for a wide age range. Can you do walk about entertainment? Of course, we do this heaps for fares, school events, corporate events, and more. Froggle can walk around doing balloon twisting, close up magic- even a walk about puppet show with one of our life size fuzzy friends. Plus rocket balloons, bubble blowing and more. How many kids entertainers do you provide at a party? As many as you like, but for private kids parties, its usually 1. Unless you request more. Our private kids shows work best as one person shows. A lot of other kids entertainment companies try to get you book more than 1 performer, either to make more money, or because their entertainers don’t carry the full skill set to do a whole show. But our team are highly skilled and perform all the activities themselves, and are very used to handling any number of kids. Does a adult have to present at the party? Yes, we do ask that atleast one adult is present the whole time, and always present in the same room the party is taking place. if you don’t think this is possible, then you would need to book another entertainer from us. Please note that unless another adult is in the room with the entertainer, the entertainer is not permitted to do the party. This is for obvious safety reasons. This depends on how long you book. If you book 60 minutes, usually there’s no break. The entertainer just performs non stop. For 90 minutes, the entertainer performs an hour non stop. Then they do balloon twisting for 30 mins whilst kids have the party food. If booking a two hour party we advise a 45 minute slot of entertainment, followed by 30 minutes for kids to have party food (meanwhile your entertainer does balloon twisting for the kids) then an additional slot of 45 minutes entertainment follows after. None of these party structures have to be adhered to like this though, so feel free to change anything you want. But we find the above structures work really well. Whats the most, or the least number of kids permitted at the party? We can do a party for 1 child or hundreds of children. We’ve done shows for hundreds of kids at fares and schools, to tiny numbers in your living room. There really is no minimum or maximum. An average number of kids for private parties tend to be 20 to 35 but we’ll make it special no matter how many or few kids you have. Do you ever hand out candy? We don’t do this. Due to allergies, our kids entertainers will never hand out candy. We do however give out free prizes. What prizes do kids get? Typically these will be pocket sized toys like bubble blowers, stretchy men, sticky creatures, puzzles, bouncy balls, stickers, and more. We also give balloon sculptures for kids if you book a party package that includes this. My son / daughter attended a party you did. Do you have another show they haven't seen? Sure. We have heaps of routines, magic shows, puppet shows, games, etc. Tell us when you saw us and at whose party, and we can arrange something different. How many performers attend my kids celebration? We suggest just the 1. So unless you ask for an additional person there will be one person there. Your performer will take care of all the kids from start to finish. Is the performer dressed in a costume? For most of our packages for younger kids aged up to 7 yrs, yes. (Unless you request differently of course) and we have a really fun outfit that kids love (as per our platinum package video). This is the usual outfit for younger kids. Obviously for themed parties we wear an outfit that fits with your theme e.g. pirate, fairy, super hero , etc..
For our games and dancing parties and some discos, we tend not to wear a costume. Instead the performers come in a red froggle polo shirt. For older kids aged 8 and up, (unless you’d prefer the costume) the entertainer also wears the red polo shirt. As always, we’re happy to customize your party so do state your preference when booking, if you want something different to the above. How does the clown party and entertainer party vary? There’s not a huge difference. Its mainly to so with how they appear. Both entertainers appear in the same clown like costume. The clown then additionally has a multicolored wig, bright red sponge nose, and make up on their face. The entertainer party wouldn’t have any clown stuff on the face. But will wear the same costume. How does the platinum party and entertainer party vary? Again, these parties are very similar. The platinum package is a more luxurious package. It includes bubble and snow machines and is also more dance focused. The machines are a real winner with the kids. 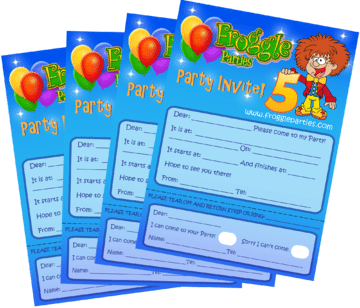 Can you customize a party to my requirements? We’d love to do this for you. Our party packages are deigned to make it super easy to choose a party that your kids will love. This is often really helpful for clients who don’t have any set ideas in mind too. However, if you already have something specific you want, or a set combination of activities your kid would prefer, then let us know and we’re happy to help. Yes we are fully covered. Should you or a venue need to see a copy then we are happy to provide this for you. Do you do back ground checks on your performers? Yes we do. We undertake very thorough back ground checks for everyone who works for us. Our performers also go through a very intensive recruitment and training process that takes months to complete. Do I get to talk to my entertainer? Yes you do. We arrange for your entertainer to call you a couple days before your event. They’ll introduce them self to you and be happy to ask any questions you have for them. If you need any thing before then, we’re always here to help. When do I pay my entertainer? We ask that you pay them cash on the day, just after they have completed the entertainment. If cash is not possible then we’d arrange for you to make a wire transfer instead. Should I tip my entertainer? What's the process to finalize my party? We are completely transparent about all our rates. You’ll find everything listed here on our rates page. We accept credit card or paypal payments for the holding deposit. The remaining balance is paid in cash on the day to your kids performer. When do you guys get booked by? Thats a tough one to answer. It really varies. So we advise booking around 4-6 weeks in advance to avoid disappointment. That said we do manage to fit in last minute bookings, depending on the time and availability you want. But all our parties are subject to availability. The only way to confirm a party is to secure it with a deposit. Once you’ve paid a holding deposit to secure your date, you get an email from us to confirm your party. We confirm again a week before your party as a reminder. Then a couple days before your event, your entertainer/s will call to introduce themselves to you. They’ll perform at your event and you pay the balance in cash to them on the day. How far in advance before the party does the performer show up? This depends on the party package you book, but its any where between 15-30 mins before the start time. How much pack away time do you need? Again this depends on the package booked but its the same as the set up time. So about 15-30 minutes. You can cancel your party at any time. However if you cancel 4 weeks or less before the date of your party, we regret the deposit is not refundable. This is largely due to us having to turn down other work whilst we keep your date free for you. However, instead of completely losing your deposit, we can offer you another weekday date instead. For example you could have the party after school or vacation time. To be eligible for this, you would need to secure a weekday date within 2 months of your original party date. Please remember this is subject to our availability. Regrettably, if you cancel, less than 4 weeks in advance, we can’t offer an alternative week end date with your already paid deposit. If you cancelled less than 4 weeks in advance, and wanted an alternative weekend date, a new deposit would be payable. If cancelling more than 4 weeks in advance then we will refund your deposit, less a $25 administrative fee. Can I have my party in my back yard? Sure. As long as the weather holds up.